Maj. Gen. Marcelite Harris was the first woman aircraft maintenance officer, one of the first two women air officers commanding at the U.S. Air Force Academy and the first woman deputy commander for maintenance. 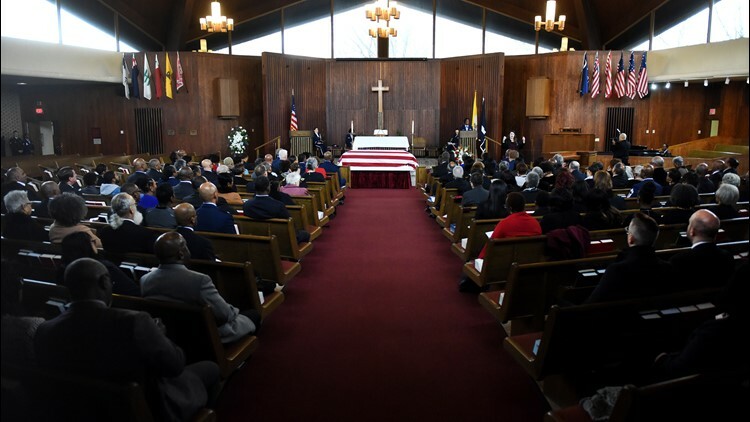 WASHINGTON — A trailblazer for the United States Air Force was laid to rest with full military honors at Arlington Cemetery last week. Maj. Gen. Marcelite J. Harris became the first black woman to rise to the rank of a two-star general back in May 1995. She died, Sept. 7, 2018 at the age of 75. She was buried Thursday morning. Harris was born Jan. 16, 1943 in Houston, Texas and dreamed of moving to New York City to become an actress. A bio on the US Air Force website says Harris graduated in 1964 from Spelman College in Atlanta with a degree in speech and drama before being commissioned in 1965 at Lackland Air Force Base in Texas. From there, she quickly moved up the ranks. In her career, she held a variety of assignments, many of which the Air Force said resulted in historic "firsts" for women in the military branch. Among them, Harris became the first female aircraft maintenance officer, one of the first two woman air officers to command the US Air Force Academy and the first woman deputy commander for maintenance. She also served under Presidents Gerald Ford and Jimmy Carter's administrations. "Being a leader, being a mentor is not about how much you can fill your own cup, it’s about how much you pour into others and with Major General Harris, our cups run over," said Lt. Gen. Stayce Harris, Inspector General of the Air Force. "She poured so much of herself, personally and professional, into all of us and influenced so many — those she knew and those who knew her from afar." According to the Air Force, Harris retired in Feb. 1997 after 32 years of service - doing so as the highest-ranking female officer and the nation's highest black woman in the Department of Defense. "My sister was a fighter," said Elizabeth Johnson, Harris’s younger sister during the memorial service. "She was forever striving to serve others, and even in retirement she never missed an opportunity to contribute."